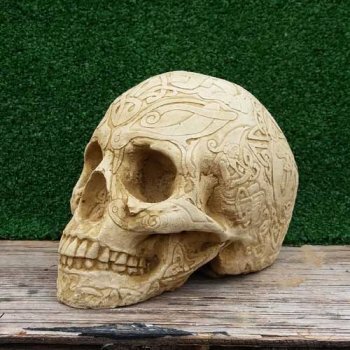 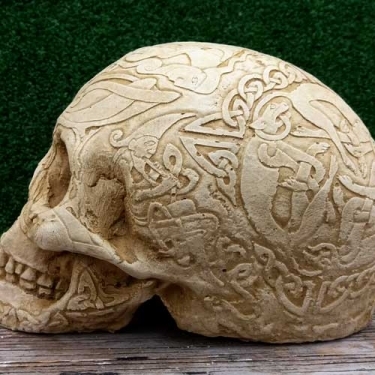 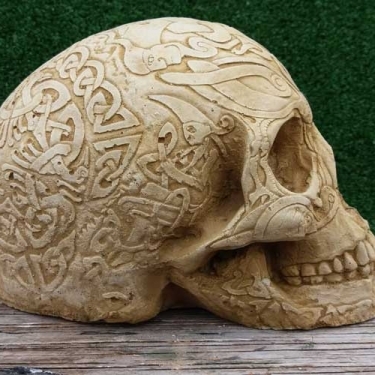 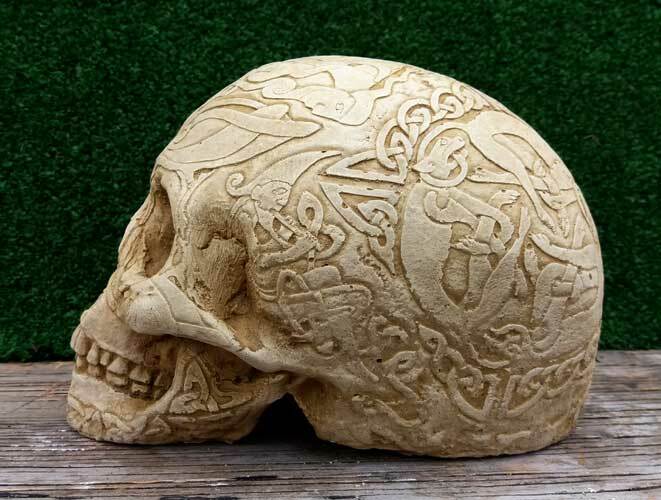 This is an intricately carved ‘ancient’ skull covered in beautiful, precise Celtic patterns. 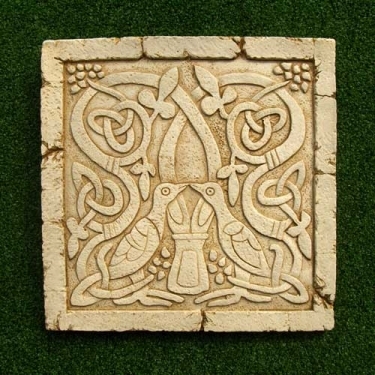 This piece is reproduced in high quality casting stone, and is hand-coloured to give it the look of a valuable trophy. 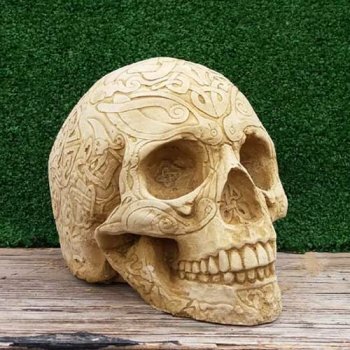 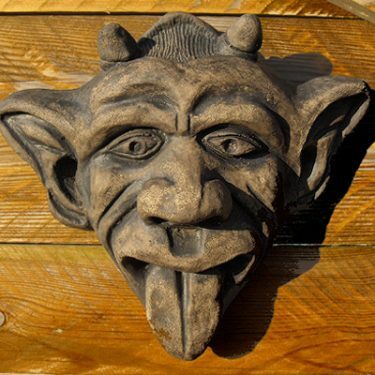 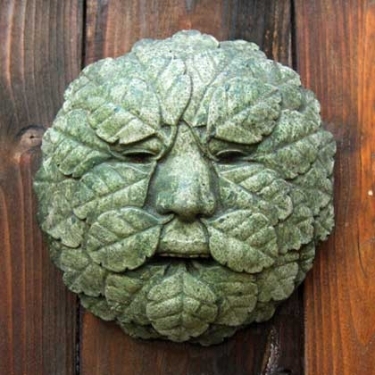 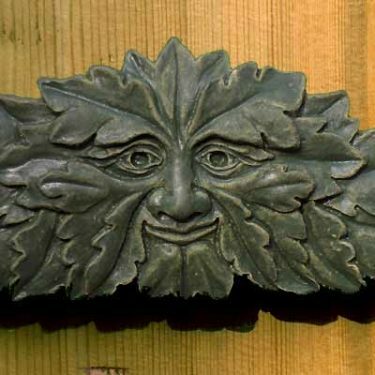 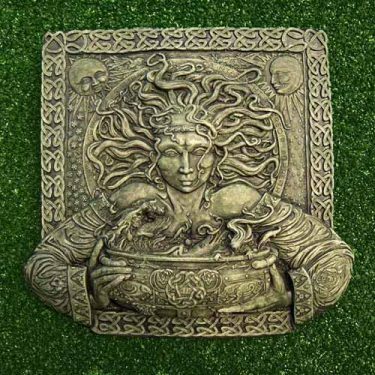 The Celtic Skull is suitable for indoor and outdoor placement. 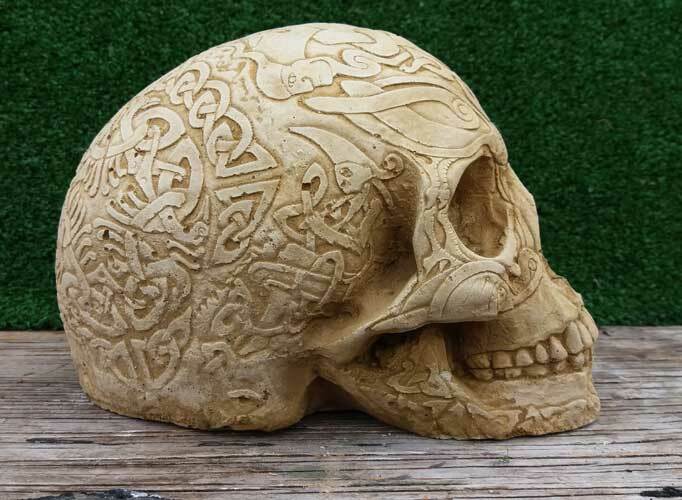 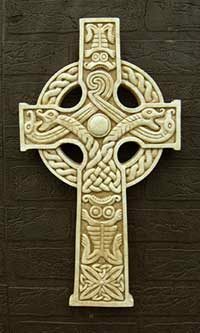 The Celtic Skull is 13cm high, 18cm long, 10cm wide and weighs about 2kg. 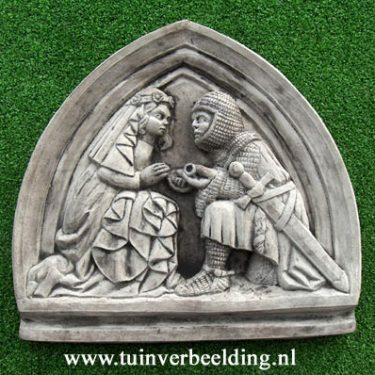 All our ornaments are made and finished by hand in our workshop in the Netherlands. 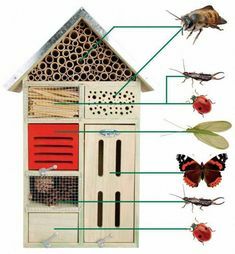 Actual colours can differ slightly from the photos. 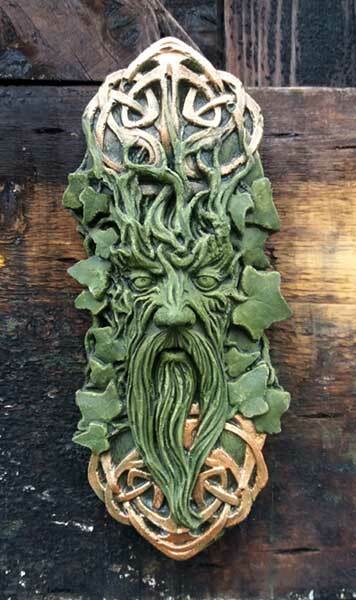 Because all our ornaments are made and finished by hand no two are exactly alike.